The one-week classic is a tour de force of adventure activities! This program is our tried and true wilderness adventure. By travelling with a group in the great outdoors and participating in adventure sports, you will gain an appreciation for your own abilities as well as the natural world that surrounds us. This setting and the flow of the expedition inspires leadership skills, self-confidence, and teamwork. Outdoor living is the main focus, that means sleeping in tents, cooking your meals over Whisper-lite camp stoves, bathing in creeks, using the "facili-trees" for the bathroom, and travelling from campsite to campsite under your own steam. Some of the Activities you can expect: Camping, Climbing, Hiking, Canoeing, Natural Watersliding, Caving, Teambuilding, High Ropes, 900' Zip Line, Kayaking, and for the 14-17 group: Mountain Biking. Upon arrival, participants will gather on our Base Camp, get outfitted with backpacking and camping equipment, and learn all the skills they need for their new adventure. Skills like cooking in the outdoors, setting up tents, Leave No Trace principles are all learned at the beginning of the trip. As the trip progresses, all activities are instructed by experienced and well-trained Outdoor Professionals. Climbing, kayaking and caving are some of the activities offered. Each activity is facilitated at an introductory level and then adjusted to suit the ability and enthusiasm of the group and individuals. Prior experience with camping and swimming is encouraged but not required. For 14-17, the ability to ride a bike is strongly encouraged. You'll spend this period of the trip travelling throughout the national forest including one great day on a natural waterslide! As the week comes to a close, groups will return to Base Camp where they will join the other groups in our WALYMPICS (WA's version of the Olympics with fun challenges and skills learned on trail). To celebrate the conclusion of their trip they will have an awesome spaghetti dinner and share the stories of their trip at WA's Closing Campfire. You will camp in backpacking tents, pack all your gear in one backpack, cook backpacker style meals on back country stoves, learn Leave No Trace Principles and share the accomplishments of each day with your group and leaders around the campfire each night. 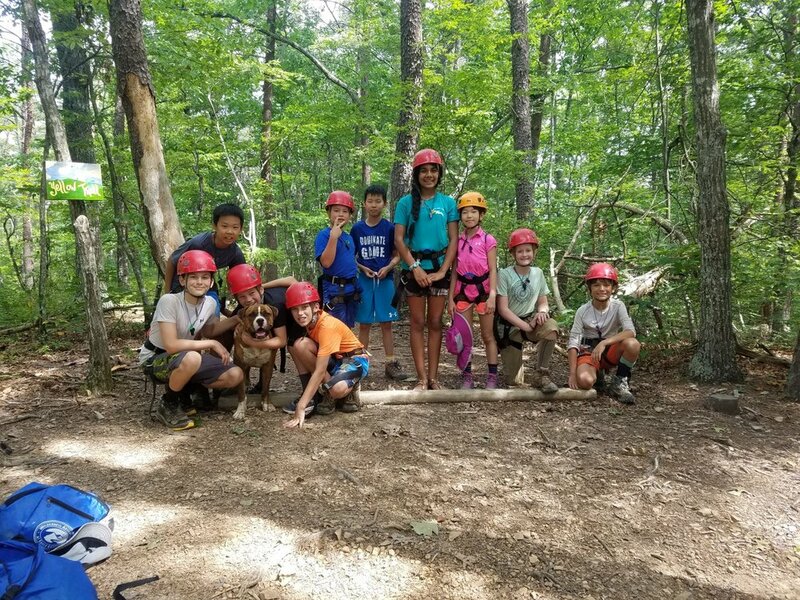 Adventure sports such as Rock Climbing, Kayaking, Mountain-biking and Caving will be teach by certified instructors that will help you develop the basic skills of each sport as well as how to apply these skills in different locations. You will do some single track mountain bike riding, climb on our climbing wall as well as real rock!, kayak on our pond and go to cool caves! Participants will leave Wilderness Adventure with an increase sense of autonomy. Being able to live in the outdoors for a week, carry all you need in a backpack, and get out of your comfort zone with challenging activities will help participants to know their limits and see how capable they are. They'll also realize how fun and creative being in nature can be when they don't have all the usual comforts of home and distractions of the internet and busy schedules. Our favorite outcome is how this adventure creates a sense of community: every experience, meal, campfire will be shared with other participants which will be greatly transferred in a positive way on their daily life.